Emma Pass • My Blog: Award! #UKYAExtravaganza! Patron of Reading Stuff! Etc! Award! #UKYAExtravaganza! Patron of Reading Stuff! Etc! Very excitingly, the audiobook of ACID has been named as one of YALSA's (the Young Adult Library Services of America) 2015 Top Ten Amazing Audiobooks for Young Adults. This is brilliant news, and testament to the amazing team who brought the book to life. 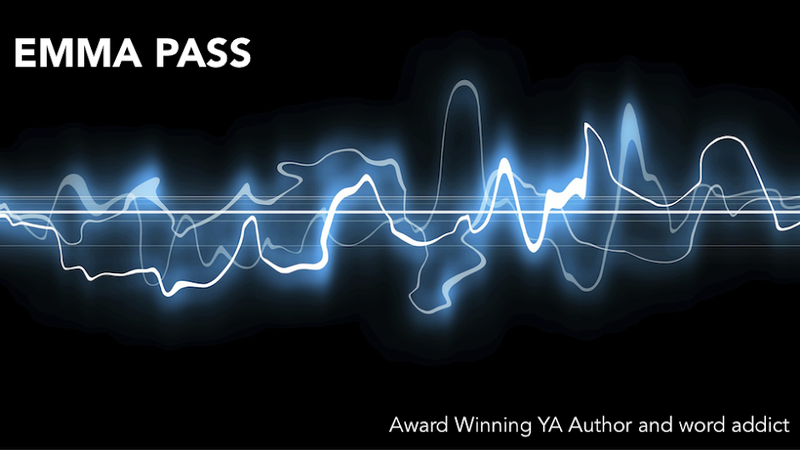 In the words of YALSA: "Unique ACID reports and recordings read by [Nicholas Guy] Smith and [Fiona] Hardingham's excellent pace combine with her authentic teen voice to highlight this exciting story." Hooray! The day was incredible and the amount of Twitter-love afterwards almost broke the internet (check out the #UKYAExtravaganza hashtag to see for yourself!). But if you missed it this time round, never fear – we're doing it again! There's going to be another UKYAX in October in Nottingham, date and venue TBC. We're also launching a website and Facebook page very soon, so look out for those, and if you're on Twitter you can follow @UKYAX for the latest updates. And of course, a huge thank you to all the Waterstones staff for letting us gatecrash, and to everyone who took part and came along to support the event! I've done quite a few school visits this year already, including two to my Patron of Reading school, Titus Salt in Yorkshire. The first, at the beginning of February, was to help launch an exciting literacy project. I worked with students from various years to help them write stories based on the school's core values, Together, Resilient, Ambitious and Caring, using different creative writing exercises as inspiration. The stories will be turned into short animated films during a residential weekend this summer, which I'll be accompanying the students and staff on. I can't wait! My second visit was last week, over two days to help celebrate World Book Day. On Thursday I raced around the school, gatecrashing lessons to give short readings from THE FEARLESS and play Bananagrams (which I was rubbish at - I blame the fact that I kept getting loads of 'N's and 'X's, and no vowels!). Then, on Friday, I was crowned Empress Pass of Poetopia. Year 7 had been separated into factions and sent to the Arena (the school hall) where they had to compete to win my favour in order to be given resources which would help them survive. 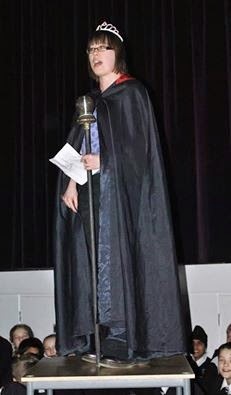 I love being a writer anyway, but when I get to dress up in a cloak and tiara and order people about? Well, I REALLY love it. It was so much fun! 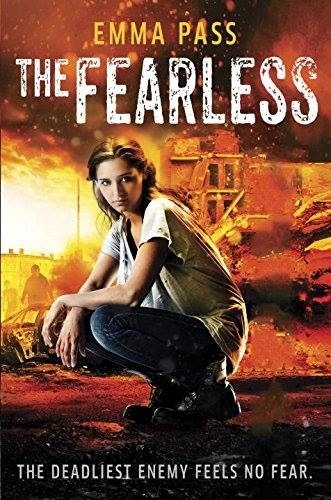 Finally, a quick reminder for my US readers – THE FEARLESS is being published by Delacorte on 14th April! 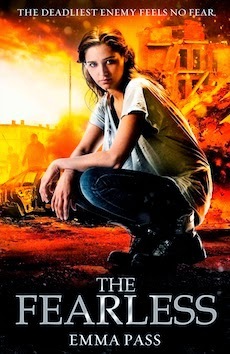 The School Library Journal called it "a fun and fast read that will appeal to lovers of zombie invasions as well as books that feature strong females in dystopian settings." If that sounds like your sort of book, you can preorder it here. Wow! You *have* been busy! Your Extravaganza looks AMAZING! What a great idea! Also, I admit I'm jealous of your cloak. Not only is it really cool, but apparently cloaks make people look about seven feet tall. (Unless you're naturally seven feet tall? That could be, I suppose...) Anyway, apparently I need a cloak. Going to get right on that! Hi! 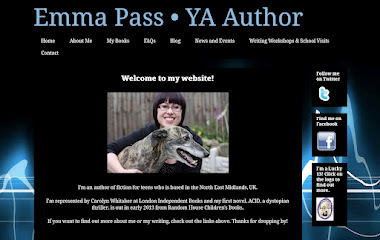 I'm Emma Pass, author of dark, gritty fiction for young adults. 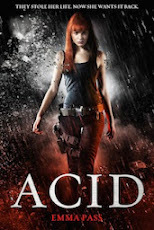 My debut novel, ACID, won the North East Teenage Book Award and was picked by YALSA as a Top Ten Amazing Audiobook for 2015, and both ACID and my second novel, The Fearless, were nominated for the Carnegie Medal. Both my books are published by Random House Children's Publishing in the UK, and Delacorte in the US. I'm represented by the amazing Ella Kahn at Diamond, Kahn & Woods Literary Agency. When I'm not writing, I run workshops for writers of all ages, which you can read more about here. 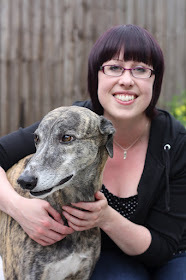 I'm Titus Salt School in Yorkshire's Patron of Reading for 2015-16, and along with fellow YA author Kerry Drewery, I run the UKYA Extravaganza. Thanks for stopping by my blog - I hope you enjoy it! Winner of the North East Teenage Book Award 2014. OUT NOW in the UK and Spain from Random House. Published in the US by Delacorte. Out now from Corgi/Random House Children's Publishing (UK) and 2015 from Delacorte (US). 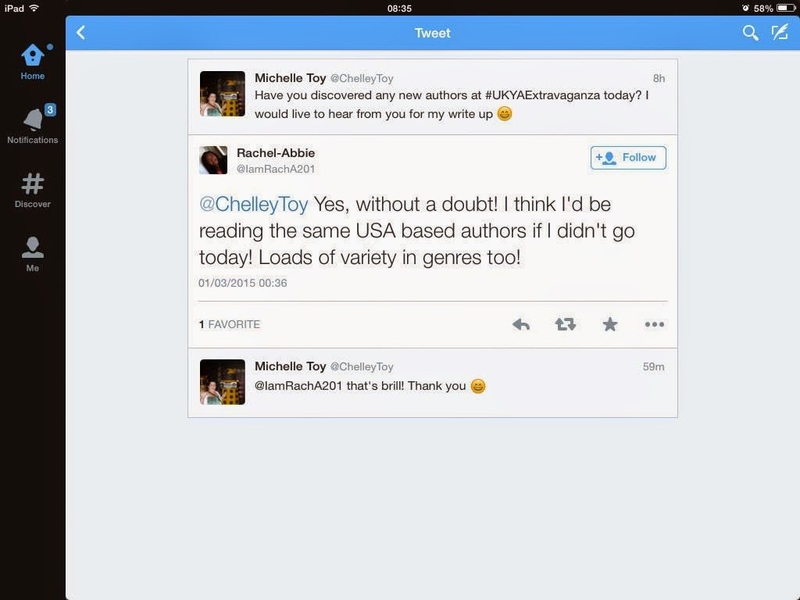 I'm a member of Author Allsorts, a blog for UK authors and illustrators of picture books, children's and YA fiction. Click the picture to find out more! I'm also a member of the Lucky Thirteens - a group of awesome YA and kidlit authors who all have debut books out in 2013. Click on the logo for the link! © Emma Pass 2012. Simple theme. Powered by Blogger.